The Honda ODYSSEY gives you an alternative to the domestic minivans while offering you Honda's reputation for reliability and build quality. 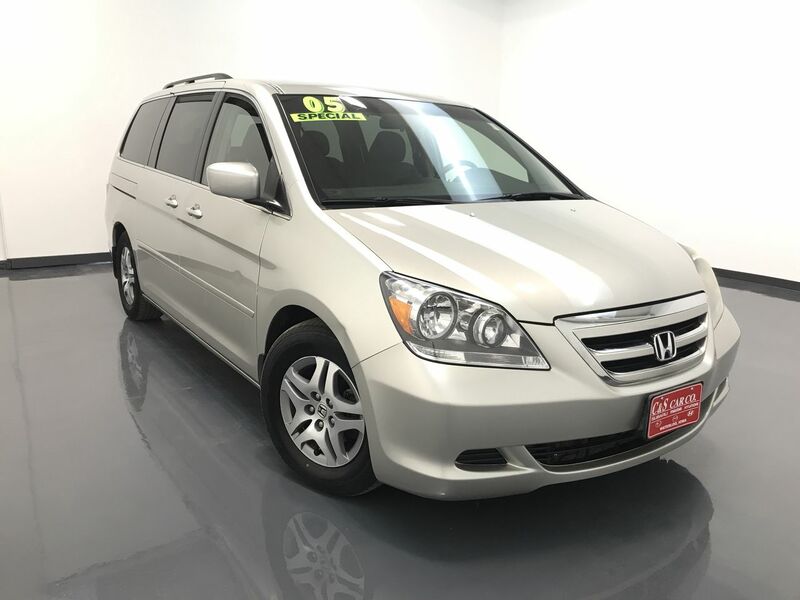 This 2005 Honda ODYSSEY EX has a power driver's seat, keyless entry, tri-zone climate controls, power sliding side doors, side window sun shades, and an aftermarket JVC AM/FM/CD sound system with Bluetooth/Pandora compatibility. The exterior features 16" alloy wheels with Goodyear tires. Call C & S Car toll free at 866-212-8718 or locally at 319-291-7321.